Great news for current PS4 owners. 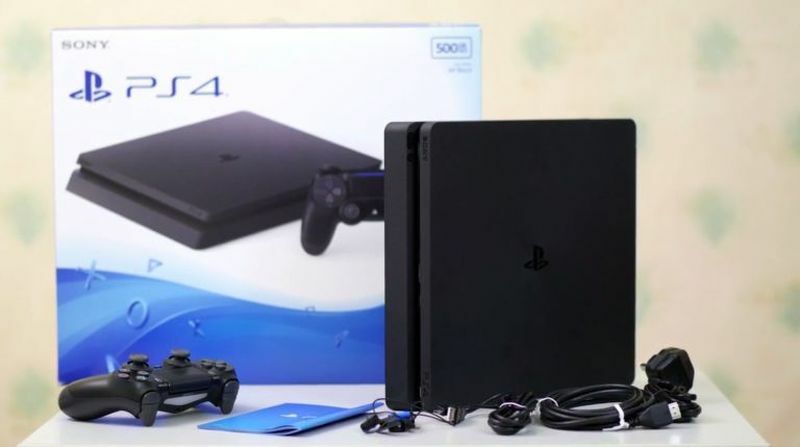 Even though the PS4 Slim came out on September 7th (September 16th for the UK), and the PS4 Pro came out on November 10th, you won’t need to worry about buying one and forking out hundreds of more dollars. 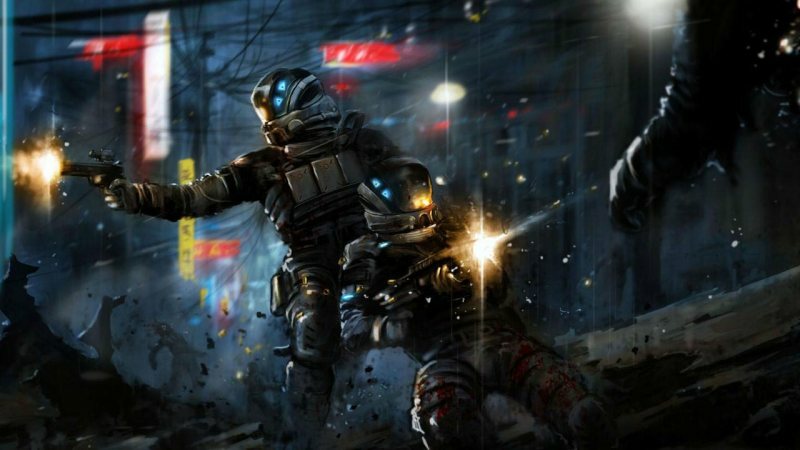 Instead if you have money burning a hole in your pocket, pick up a couple PS4 games instead. Why? 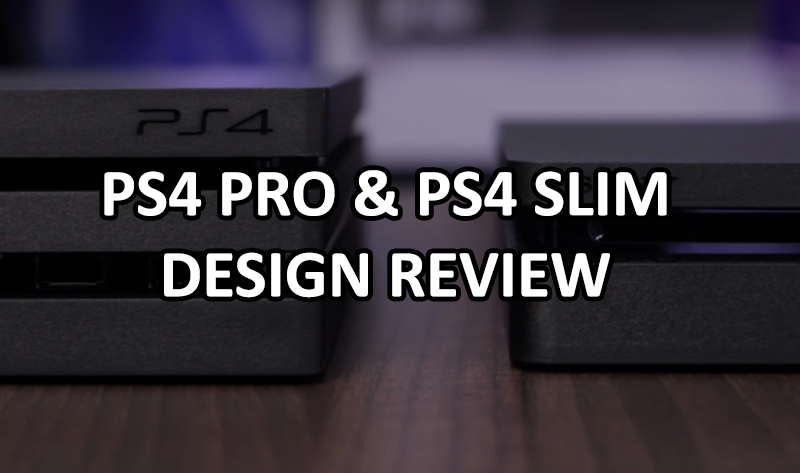 Because, frankly, the PS4 Slim and PS4 Pro are really, really ugly devices. Especially the PS4 Pro. They are so ugly I wouldn’t even want one in my living room. While the PS4 was a great design which complemented the PlayStation lineup, I see the PS4 Slim and PS4 Pro being a dark mark on the ages of Sony. PS4 Slim doesn’t look terrible, but it isn’t really an improvement on the original design. Ok, to be fair, the PS4 slim is not totally ugly. I understand the logic of the curved corners which some people may like, even if I don’t like it at all. And other than that it is at least similar to the original PS4, even though it does resemble an apple device rather than a Sony device. However, the PS4 Pro on the other hand is so totally ugly I wouldn’t even want one in my house. In some ways it is downright scary. Plus, by removing the sharp corners it really took away from the design. The curved corners made it worse, not better. Now it just looks like a radiator. I don’t know who designed this monstrosity (the PS4 Pro), but they should really consider a new career, or at least get their act together. Why couldn’t they just stick with the original design and just make it significantly smaller and more lightweight? That would have been a far safer bet than doing a total redesign – which, by the way is a total fail. It possibly they just were thinking too hard about how it looked up close and forgot that from any distance it is an eyesore. Not sure what was going through the designer’s heads when they thought this was great. So that’s right gamers and parents, you don’t need to fork out another $300 for a slightly slimmer yet far uglier slim version of the PS4, and you also don’t have to fork out another $400 for the moderately but impractically more powerful PS4 Pro which happens to support 4K. Better to just pick up a 4K Blueray player for like $30 bucks if your goal is to play 4K Blurays. 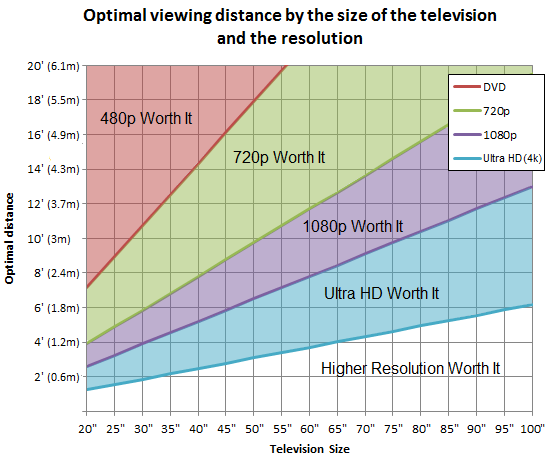 And unless you have a gigantic television, as in 100 inches plus, at regular viewing distances, 4k is going to do absolutely nothing for you. Except maybe heat up your living room an extra degree when the PS4 Pro works overtime to push out 4K quality game content. Not to mention that there is almost no 4K out anyway. And even when there finally is tons of 4K content, the devices to run them on will be a fraction of what they are now. You’ve probably seen this chart 100 times by now, but that doesn’t make it any less relevant. But anyway, why do you even need a slightly smaller PS4? It’s not like you are lugging it around like a laptop. I can see the value in a nice lightweight laptop – I just ordered the lightest ultrabook on the market yesterday (I’ll post a review when it arrives), but I mean, for a brick (no pun intended) sitting on the shelf that doesn’t move, why in the world do you need a smaller one? So don’t worry, gamers, there is no need to shell out more Christmas money for a new PS4 console. Your PS4 is good enough if you already have one, and if not, you can pick one up for around $250. It looks way better and is much cheaper than its descendants, so let’s just stick with the PS4 for 2016. Perhaps you should focus on games instead of consoles this holiday season. Now, some people may love the new design. And great for you, I am glad you like it. But I personally will not ever buy one of these PS4 Pros. I will probably wait until the PS5 comes out, if I even want another gaming console in my house by that time. If this design fail teaches a lesson, it would be for the artist to once in a while step back from his work and observe from a distance. Try to put your own inherent emotional attachment aside and view it as if you are another person seeing it for the first time. Otherwise, you risk running into the debacle that Sony has just run into.